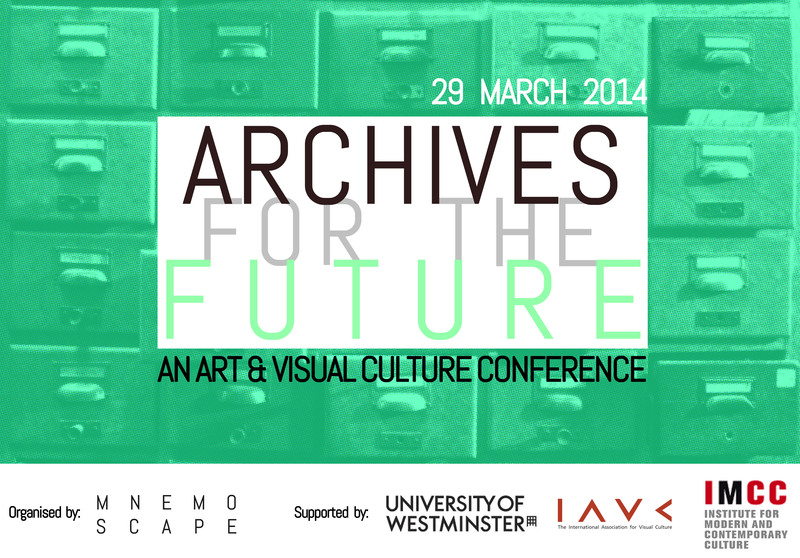 An Art and Visual Culture Conference taking place at the University of Westminster, London, on 29 March 2014. The conference is organised by Mnemoscape (Elisa Adami and Alessandra Ferrini) with the support of the University of Westminster, the Institute for Modern and Contemporary Culture and The International Association for Visual Culture. To find out more, please click here. Sunday 29 September 2013, 2pm – Vestry House Museum (Vestry Road, London E17 9NH). Click here for more info. 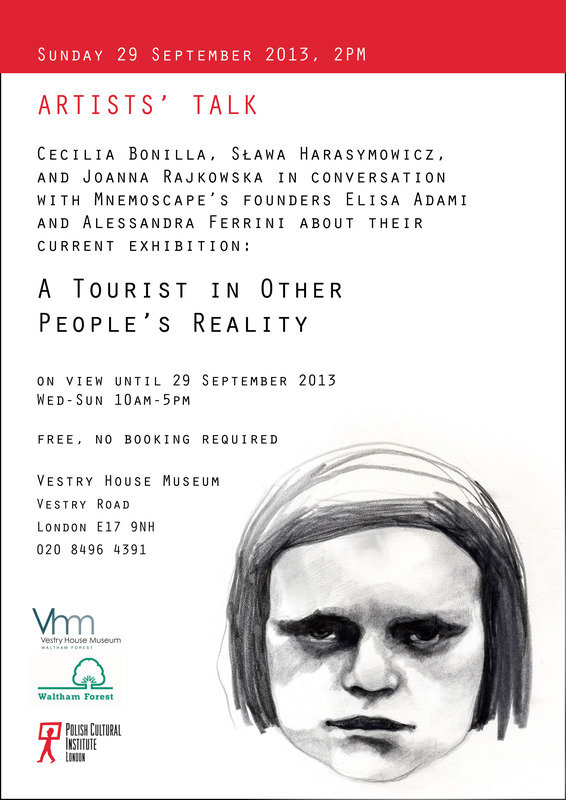 Cecilia Bonilla, Sława Harasymowicz, and Joanna Rajkowska in conversation with Mnemoscape’s founders Elisa Adami and Alessandra Ferrini about their current exhibition ‘A Tourist in Other People’s Reality’.